My daughter loves cookie dough anything. 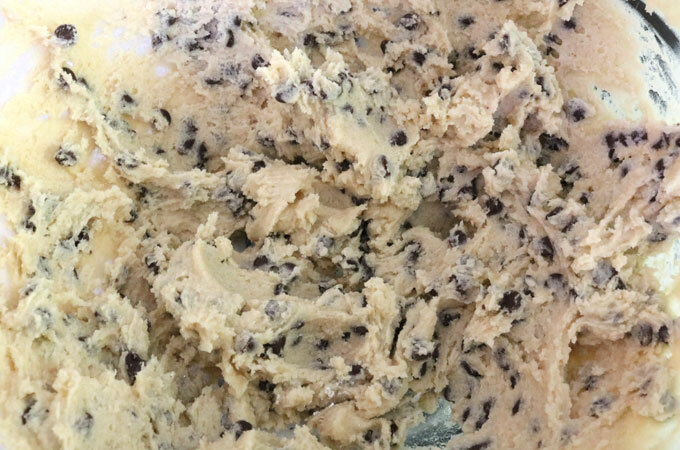 Cookie dough ice cream, cookie dough frozen yogurt, and if I would let her … real raw cookie dough. She went to a birthday party where the cupcakes had cookie dough frosting on them and now that’s all she talks about. While I love real cookie dough (don’t judge Laurie and I were raised in an era where raw eggs were okay to eat), the idea of cookie dough frosting does not appeal to me. Because Allison was so insistent on having cookie dough frosting, I scoured Pinterest for a good recipe. The first was WAY too sweet, the second recipe we tired had cream cheese in it so the taste was off putting to us, the third one was basically cookie dough without eggs. (I know…we sound like Goldilocks,) Laurie and I put our heads together and came up with this recipe. It’s a hybrid of the different recipes we found and it was just right!! And my daughter LOVED it so we all lived happily ever after. 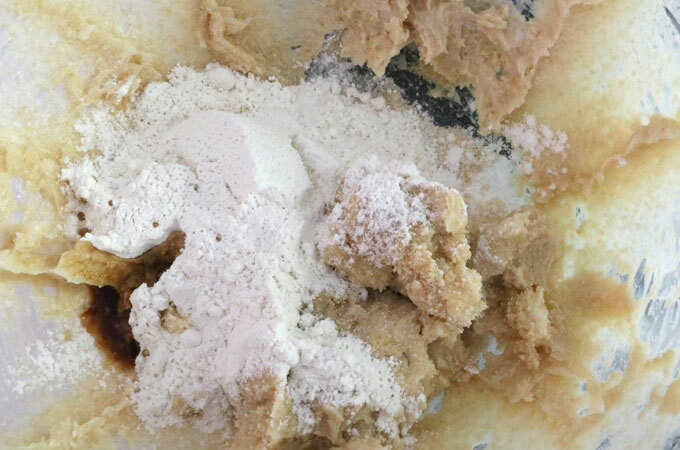 Cream the brown sugar, powdered sugar and softened butter on low in a mixer. 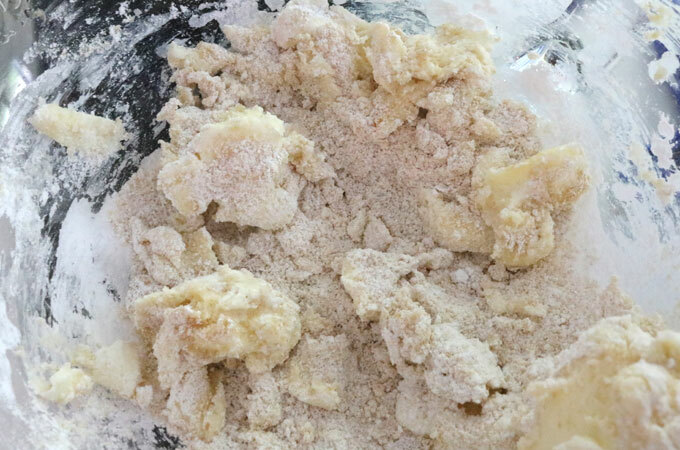 Add the flour and the vanilla and mix on medium speed until the frosting is creamy and the flour is thoroughly incorporated. Slowly add the milk until the frosting is the desired consistency. Add Mini Chocolate Chips to taste. 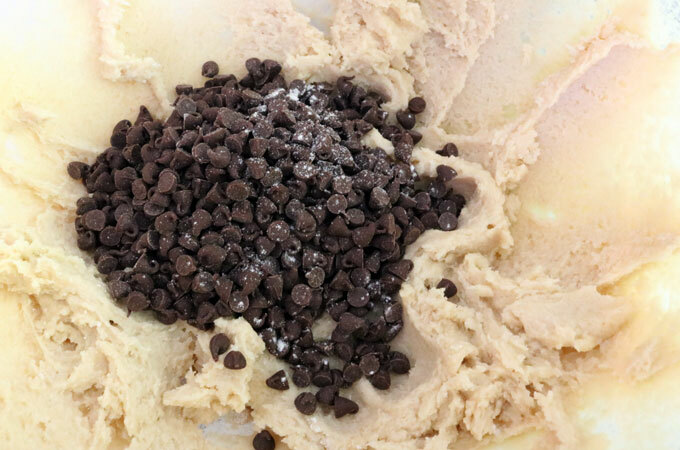 Mix the chocolate chips into the frosting with a spoon. If the frosting is too thick add a tiny bit more milk. How much frosting will you need? That always depends on how thick or thin you apply the frosting or how much decorating you do but here are a couple of guidelines. 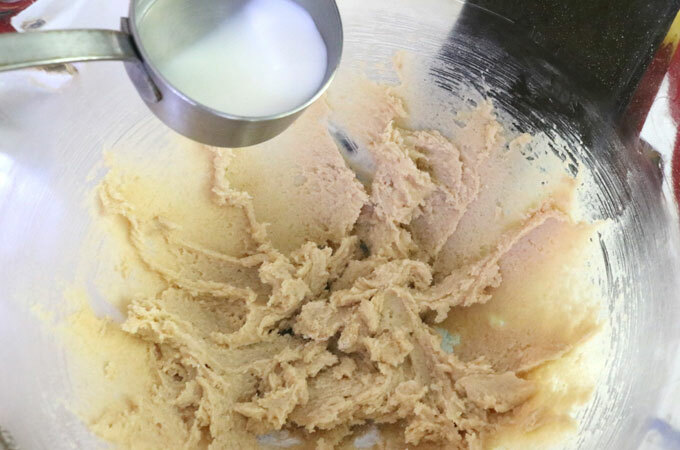 Our recipe should make enough Best Cookie Dough Frosting to cover a 9″ x 13″ sheet cake or a two-layer 8″ cake. If you are making cupcakes, you should be able to frost 24 cupcakes if you apply the frosting with a knife. If you swirl on the frosting with a pastry bag like we have done here, you should be able to frost 15-18 cupcakes depending on the size of the swirl. 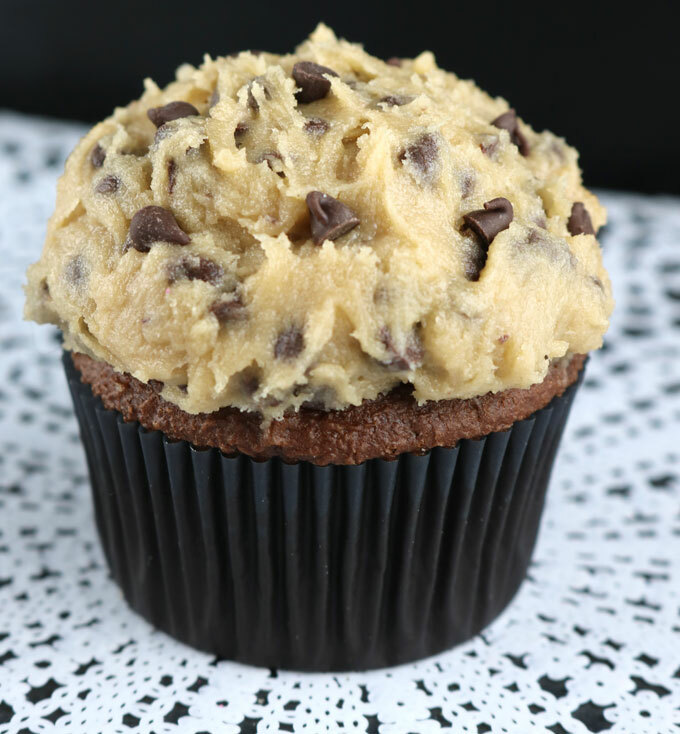 There is no getting around the fact that this Best Cookie Dough Frosting is very sweet. 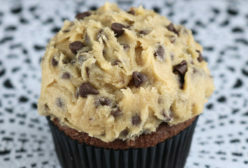 But if you want Cookie Dough Frosting on your cupcake or cake then we are guessing that “sweet’ is your thing. What we like about our version of this frosting recipe is that it still has a buttercream frosting taste plus a bit of the brown sugar/flour taste of chocolate chip cookie dough. Give it a try and let us know what you think. 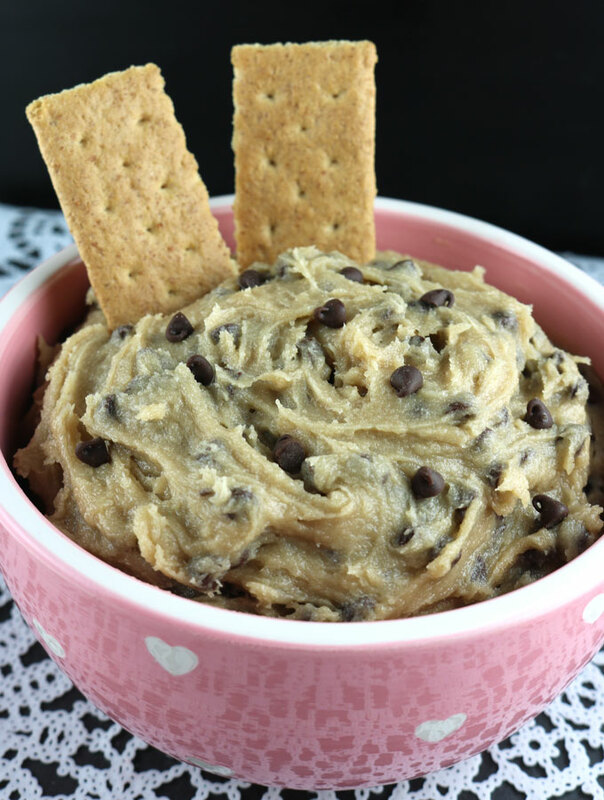 By the way, this recipe would also be great as an eggless Chocolate Chip Cookie Dough Dip which is something we see all the time on Pinterest. 0 Response to " THE BEST COOKIE DOUGH FROSTING"